We all love emojis! We’ve seen them transformed into many products but how about custom shaped flash drives? 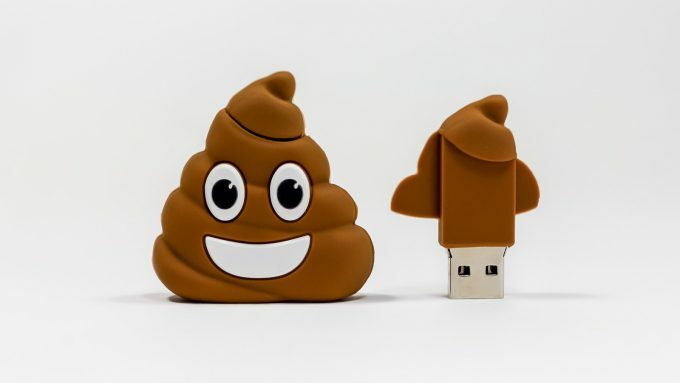 USB Memory Direct transformed the three most popular emojis – the poop, crying laughing face, and heart eyes – into awesome 3D flash drives that are perfect for all ages. What makes these flash drives unlike any other is that they are made out of a durable silicone material rather than usual PVC that is used to create custom shaped USBs. Plus, they are incredibly soft to hold. Each flash drive is packed with a SuperSpeed 3.0 USB, so it uploads media within seconds. This is such a fun tech product for kids to store their assignments on or even adults who are looking for a secure device to store their valuable documents and pictures. Each emoji flash drive is available in 3 different capacity sizes which include 16GB, 32GB, and 64GB. The retail price for each emoji drive starts at $8.49. Click here to visit USB Memory Direct’s web store and purchase some emoji flash drives for you and your family! Click here to Like USB Memory Direct on Facebook. Click here to Follow USB Memory Direct on Twitter. Click here to Follow USB Memory Direct on Instagram. Click here to Follow USB Memory Direct on Pinterest. Disclaimer: I have teamed up with USB Memory Direct. in support of this campaign. We received compensation for participation in this campaign. However, all thoughts and opinions are my own.